Moving into our new house 4 1/2 months ago, we knew that we were going to have a lot of painting to do and/or have done. 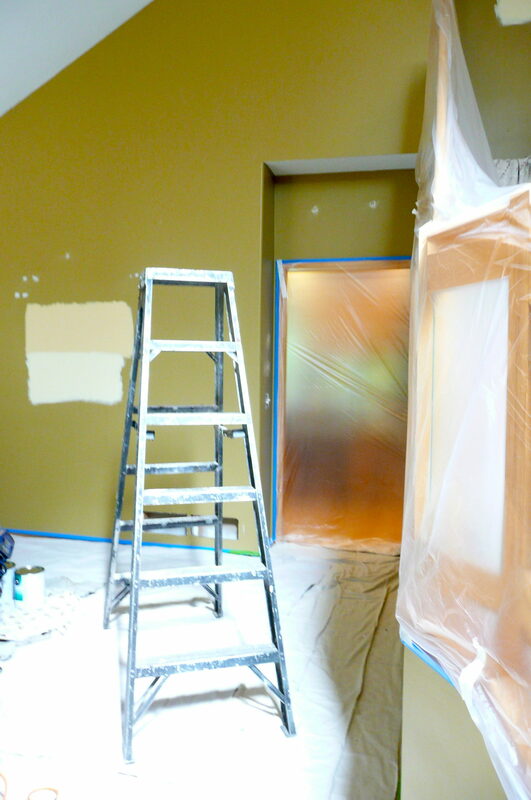 Last week, the painters came to paint the living room, dining room and hallway. 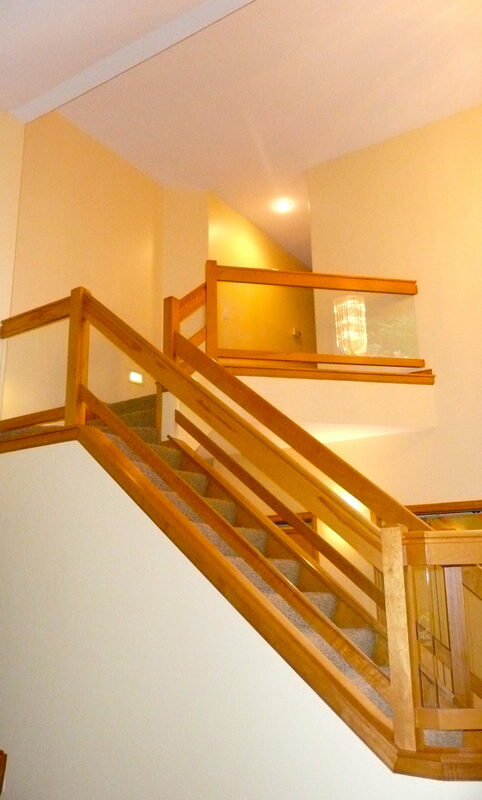 Since the stairway area has vaulted ceilings, it wasn’t a “do-it-yourself” project. It would have taken me forever. 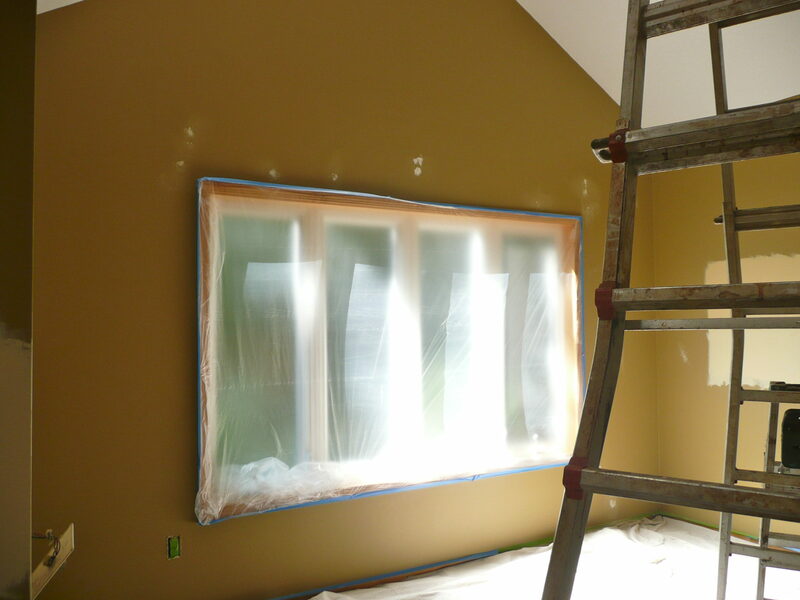 We hired a company by the name of Renovation Painting. What a nice group of people they are! Every step of the way they had me check to make sure things were being done the way I wanted them to be. The owner, Wade, was also able to do a minor handyman job for us — lowering the TV a foot down from above the fireplace. Now we don’t feel like we’re in a theatre looking up in the sky to watch our TV. The olive color went all the way up stairs. 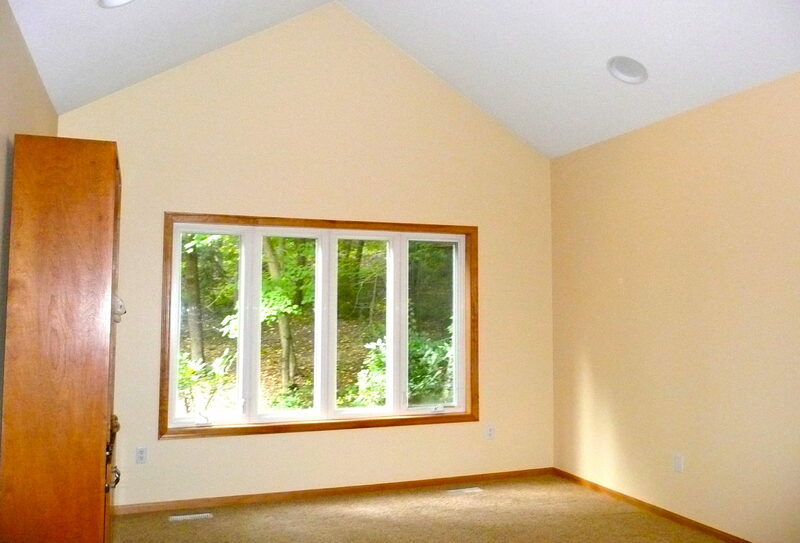 The previous owner was a decorator but I don’t know why she used dark colors for everything. Now we need to move the furniture from the family room into the living room. Oh wait! We need to buy family room furniture first. Little by little this house is starting to look like what we envision.